Upload the ArduinoISP to the Arduino dont't connect the capacitor yet. Note the factory default is 1MHz, if you want to run it @ 8MHz, use: burn bootloader. Note: this step do not burn a bootloader to your chip, it is only used to set the fuses to another clock-speed. to the processor as possible, and a 10 K ohm resistor from RESET to VCC. It is always nice to be able to get debug information from your tiny. 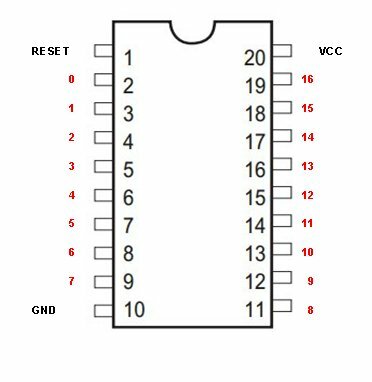 On an Arduino you are used to use Serial.print() for this purpose. Luckily you can use this on Attiny as well. Atmel has some application notes on how to make a cheap ADC, using the comparator On the Attiny2313. The sketch in the buttom of this page use a digitalRead() to measure the time in a rc-network. In the example they use a photoresistor, but you can substitute this with a potentiometer.